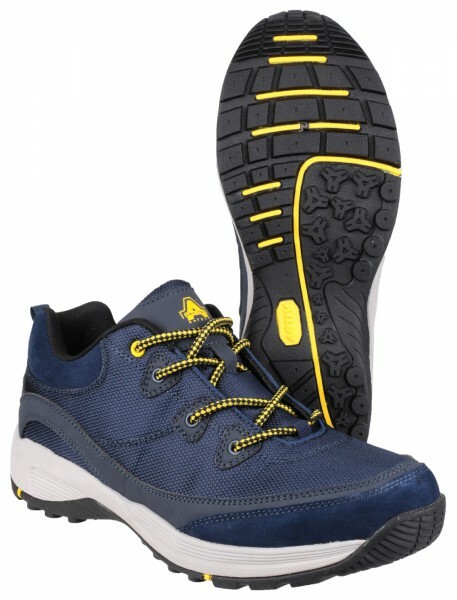 Modern, sporty safety trainer from Amblers Safety. 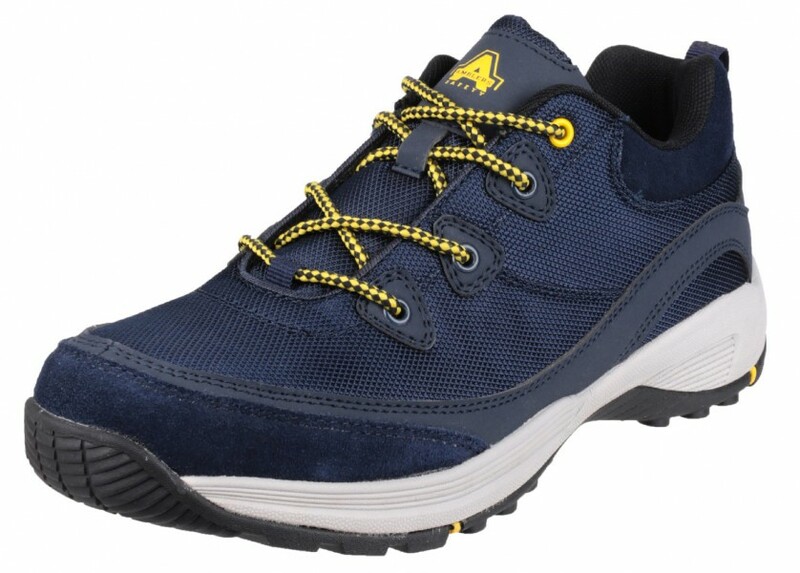 Fashionable trainer which looks like made for sport but meets industrial safety standards: impact and compression resistant steel toe cap and midsole. 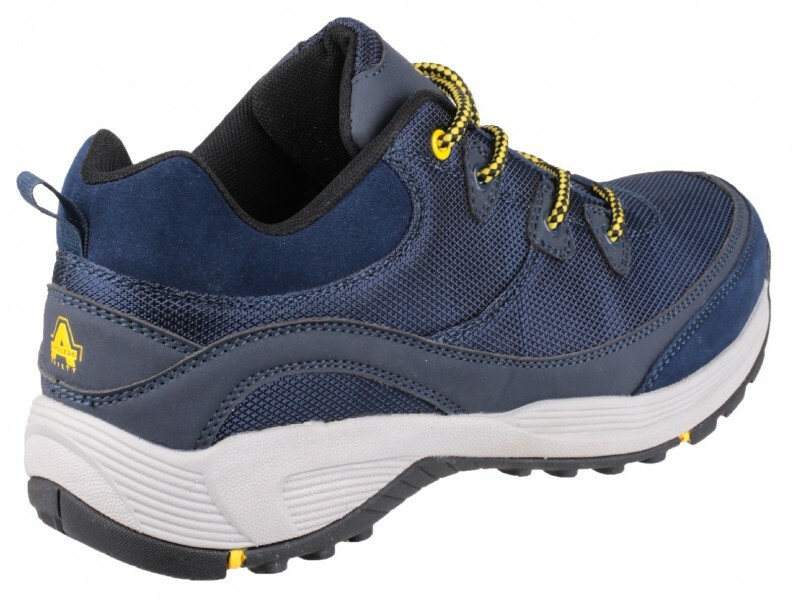 Upper made from Cow suede and breathable nylon mesh with padded support at heel. Rubber is combined with EVA in the midsole to give a cushioned, energy absorbing base and also hardwearing antistatic outer. Fashionable sporty safety trainer meeting EN ISO20345:2011 European protective footwear standards, rating S1P.